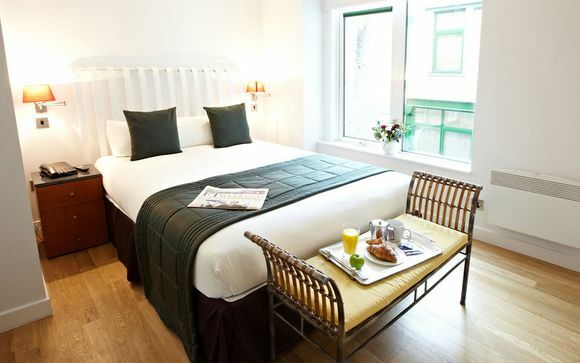 Fully serviced and modern four-star apartments, ideally located for exploring all of London’s central tourist attractions. At 196 Bishopsgate, you will be just a short walk from Liverpool Street station, the Thames, famous Spitalfields market and Brick Lane. Venture out to the fashionable areas of Shoreditch and Hoxton, where a plethora of bars and restaurants await! Our members will get to stay in a One Bedroom Apartment, with included breakfast. 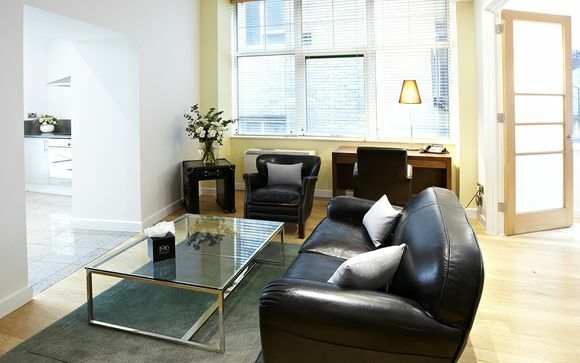 Located in the centre of London's financial district, and within walking distance of the River Thames - these apartments are perfectly situated to allow maximum ease in exploring the city. At just a short tube ride away from fashionable Hoxton and Shoreditch, this area combines proximity to both the thriving economic centre of the UK with the most stylish cafes, bars and quirky boutiques around. For guests who wish to immerse themselves into London life, both Leadenhall and Spitalfields markets are close by. Whilst Leadenhall is one of the oldest markets in London, dating back to the 14th century and famed for its impressive architecture, Spitalfields is known for its vintage fashion, antiques, and arts and crafts. Brick Lane Market is also conveniently close where guests will find street stalls selling fabrics, spices and antiques. The area is also famed for its plethora of Indian restaurants where authentic cuisine is served at great prices. The world famous Tower of London is by far one of the most well-preserved historical buildings in the world. Originally modified by joining the east and south stonewalls of the old Roman town of Londinium Augusta, the structure first became the castle for William the Conqueror. Since then, the castle has been constantly improved and extended by the addition of other smaller towers, extra buildings, walls and walkways. Gradually, this monument evolved into the splendid example of a castle, fortress, prison, palace and finally the museum that it proudly is today. 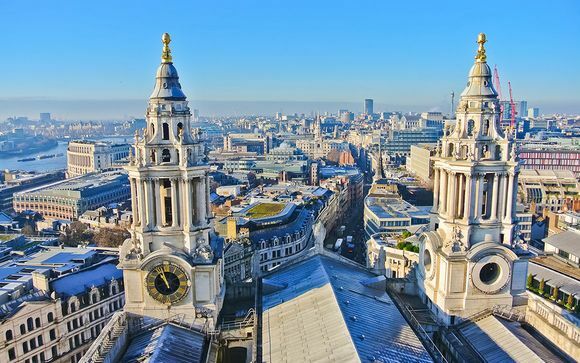 Popular tourist attractions such as theatres in the West End, museums and the royal parks are easily reached by tube too as Liverpool Street station is just 4 minutes walk away! Make your holiday even more memorable when you stay throughout December. Why not travel in December? 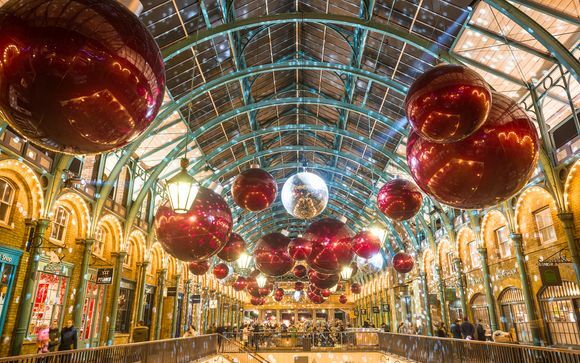 Christmas in London is like no other place, it’s a time when the city is transformed into a glittering metropolis adorned with show-stopping decorations throughout. Get into the Christmas spirit while you listen to carol singing beneath Trafalgar Square's huge tree, warm up with a cup of steaming wine at the festive Winter Wonderland or take a trip down Oxford Street where huge department stores attempt to outdo each other with elaborate shop windows...Christmas in London is a magical place! This collection of sleek serviced apartments in the heart of the City offers everything you need for a great short break. Each of the serviced residences are decorated to the same high standard and have been furnished with a contemporary flair. 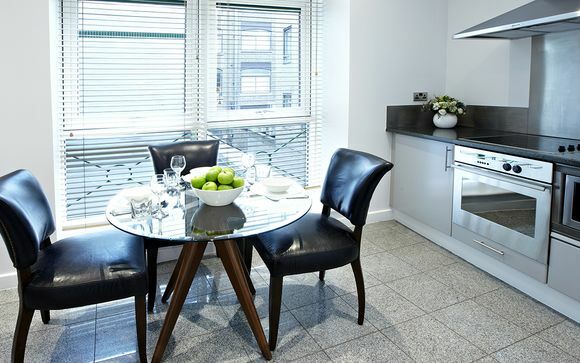 All offer fully equipped kitchens, marble clad en-suites and separate dining areas. Your sleek and spacious apartment offers everything you need to make this your home away from home. They each feature a modern, fully equipped kitchen and bathroom, a tranquil bedroom and a separate reception room. They are air-conditioned and include free Wi-Fi. A continental breakfast will be served each day in the comfort of your apartment. A full kitchen is provided so you can make your own meals - we recommend heading to Smithfield market to buy the best steak in London! There are also numerous restaurants and cafes nearby to explore - not to forget the festive Christmas markets for those staying throughout the winter! Transfers: Transfers are not included with this offer. For the latest travel advice from the Foreign & Commonwealth Office including security and local laws, plus passport and visa information please click here. Please note that the advice can change and consumers should continue to check it until they travel. This property is not accessible to people with reduced mobility. Check-in outside the hotel's standard times may incur additional fees. Check out times are subject to change, please check these with the hotel upon arrival. Schedules and prices are subject to change. If the property is accessible to people with reduced mobility, this is subject to availability. To book a room for reduced mobility, please contact our Customer Services Team. If you book a package which includes flights, your contract will be with Voyage Privé. The air holiday package(s) shown are ATOL protected by the Civil Aviation Authority. Our ATOL number is 10170. If you book a package which does not include flights, then ATOL protection does not apply. Your contract will be with the provider of the accommodation and not Voyage Privé. Voyage Privé acts only as agent for the accommodation provider. If booking as a single traveller, room occupancy is not guaranteed. You may be placed in either a single, double or twin room, based on the availability of the property at the time. The location shown on our map is to be used as a guide only and the actual location of the property may differ. 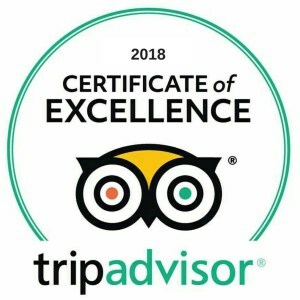 Although we endeavour to provide up to date information we cannot guarantee that all hotel facilities and services will be available during your stay, especially when travelling out of the main holiday periods. Star rating standards may differ to that of the UK, depending on the country of travel.